Formula 3000 cars were forming the final step to F1 from 1986 until 2004. 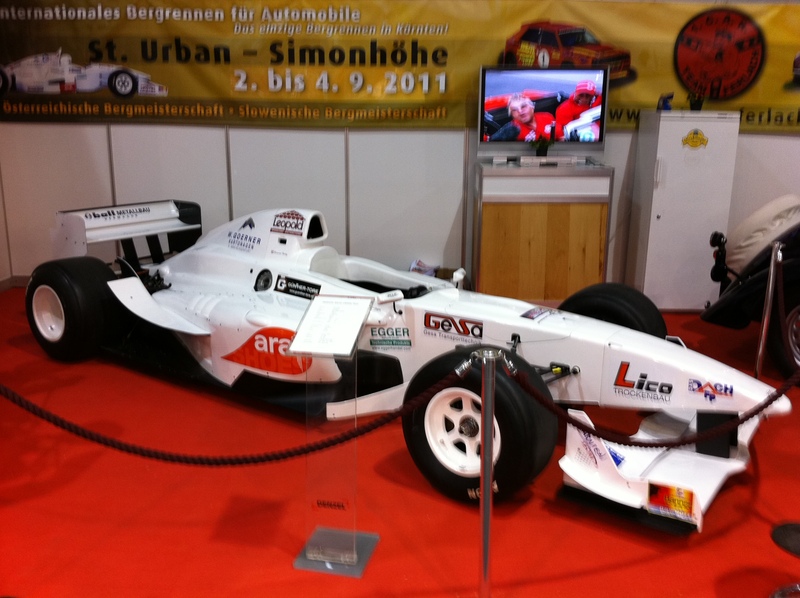 Initially the F3000 care were F1 derivates with detuned and to 9000rpm limited 3.0 liter (3000ccm) V8 engines. In the early 90s the F3000 became more and more competitive and expensive. Several manufacturers like Lola, Reynard and March and the availability of different engine installations from Judd, Cosworth and Mugen Honda propelled the F3000 to it´s maximum competitiveness by the 1995 season. Following the disastrous events of the 94 Imola GP and the FIA introducing new safety rules, the F3000 became a one-make formula from 1996. Lola was entitled as the sole one-make chassis supplier and the T96/50, albeit being some 3 – 4 seconds slower than the previous year´s cars, provided the new playing field for the drivers heading towards F1. From 1996 onwards until 2004 Zytek Motorsport supplied the powerplant for the series. The 3.0 KV V8 engine is to be found in every F3000 chassis build post 1995. The F3000 championship was replaced by the GP2 series in 2005. Lola T92/50 F3000 hybrid with Heini Mader 3.5 DFR V8 Formula1 engine, including spares package, blue met.